Dr. Boss facilitated the implementation of six Marzano Academies to Nebraska. These regional academies have allowed over 70 schools of all sizes to implement a common language of instruction and receive ongoing professional development and support. Dr. Boss and his team developed an instructional model implementation process used by area schools that has been highlighted at regional and national conferences. This process is used across the state as a model for developing a common language of instruction. In 2017, Dr. Boss brought the first High Reliability Schools Academy to 12 school districts in Nebraska. He serves as an HRS data coach and consultant and has certified schools in the model. Dr. Boss consults with the Nebraska Department of Education (NDE) in the area of educator effectiveness. He provided guidance to NDE in designing the process to embed instructional models into the state teacher appraisal system. Dr. Boss has served as the lead evaluator on multiple external accreditation teams representing AdvancED and statewide accreditation for schools across Nebraska. He regularly consults with area schools on school and district improvement efforts and serves as a trainer for the annual NDE Continuous Improvement Workshop Series. 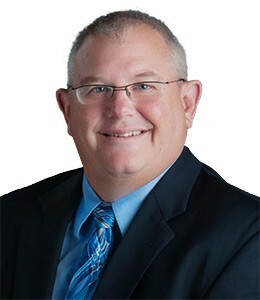 Dr. Boss earned his BA in secondary education, an MA in economics, and an EdD from the University of Nebraska–Lincoln.